Congratulations: Six Nations’ guitarist Joel Johnson captured the blues award for Best Blues Album of the year at the Aboriginal Awards, held Thursday evening at the Hamilton Convention Centre. Johnson, who took the award for his debut solo album, Blues Joose Vol. 1, was also nominated for Best Male Artist and Single of the Year. The awards were presented at Hamilton Place in Hamilton, Ontario. With Blues Intervention, Marshall continues to build on his style which, although reminiscent of a fair number of Mississippi Bluesmen, still has that special ingredient that makes it unmistakably his own. It is believed that this special signature comes from Marshall’s expertise not only as a mandolin player, but also his extensive history as a gifted Bluegrass musician. 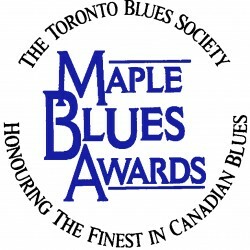 Marshall Lawrence has the distinction of being a Maple Blues Award Nominee and an Independent Music Award Nominee. As such, a driving force has emerged on the Canadian blues scene. Marshall Lawrence is taking traditional blues styles and infusing them with a raw, fiery energy. Marshall’s adrenaline-driven sound is a fierce combination of funk, rock and soul, a wild ride he calls “acid blues”. Marshall is a dynamic and unique blues performer who has experienced many phases in his life and music. The Blues has long been recognized for its healing properties, but not a lot of Blues players are actual doctors. He is called ‘The Doctor of the Blues’ for good reason – he’s a bonafide PhD, holding a doctorate in psychology. “Ironically, a fan laid the nickname on me, but he didn’t know that I actually have a doctorate,” says Lawrence. RIP Robin Rogers: Singer / harmonica player Robin Rogers died on December 17 in her hometown of Charlotte, North Carolina. She had been struggling with terminal liver cancer for a month now. Robin was well loved within the blues community and had some highly successful CDs which frequently ended up with nominations, and she was honored with a Blues Blast Music Award for “Best Female Artist of 2009”. Her humble and sincere personality, coupled with her unmistakable talent, made us all take her in as an adopted little sister. 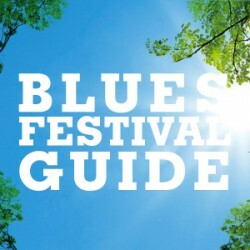 She had lead a very hard life, complete with homelessness, and substance abuse, but she had turned her life around, and found a positive outlet in blues music. She had been sober for 21 years and happily wed to her husband and musical partner, Tony Rogers who was by her side until the end. Many benefits sprouted around the country and her latest record Back In The Fire, on the Blind Pig label, was met with great success, and has recently been nominated for a Blues Music Award. Please spend a few minutes to hear the NPR interview with Robin, from a few weeks ago. To read more about Robin Rogers, please visit www.robinrogers.com. Some of the aforementioned close musical friends whose talents grace the album include: John Crosbie (guitar), Ralph Macdonald (guitar), Duncan McBain (drums), Sergio Faluotico (bass), Ed Roth (keys & squeezbox), Gary Kendall (bass), Chloe Watkinson (vocals), and Kate Roberts (vocals). Songwriter Brian Blain has a new CD, recorded live off the floor with bassist George Koller at Reba’s Café in the west end of Toronto, which features nine tracks, including The Old Whaler’s Confession, inspired by a whale-watching trip Blain took at the tip of Cape Cod. “There’s a huge feeding ground just off of Provincetown. When we went on a whale watching expedition, the boat barely got out of the port and we were surrounded by whales,” he said. A single of The Old Whaler’s Confession will be promoted to folk & blues radio and a version with the “extended seascape” will be made available online. Brian and George will be performing that and other selections at the Gladstone Hotel on Tuesday, January 18th at 8pm followed by the usual campfire jam. 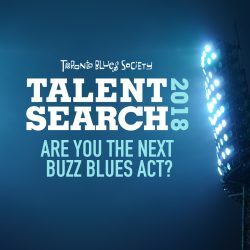 There will also be a campfire at the Blues Summit on Saturday, January 15 and Blain also plays the Moonshine Café in Oakville on Saturday, January 8, Highway 61 BBQ in Toronto on Saturday, January 22 and at the Black Shire Pub in London on Friday, January 28.